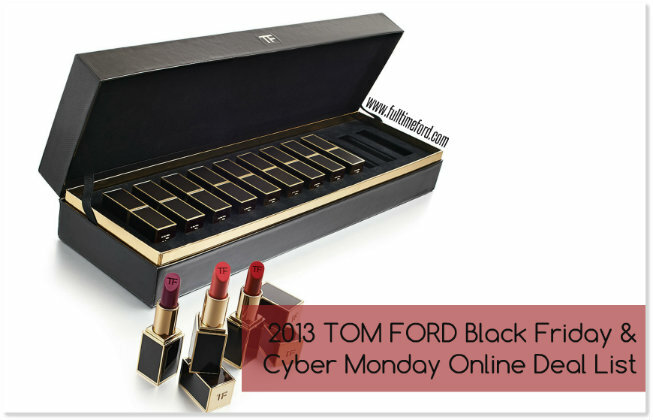 Last year, I complied a list of Black Friday and Cyber Monday promotions that could be applied towards the purchase of TOM FORD and TOM FORD Beauty product. It’s still one of my most-visited posts on the site, even a year later, so I thought it would make sense to continue the tradition and make this an annual list. Apparel is more difficult to find and although there are some online options your best bet is a visit to a TOM FORD boutique. When you shop at the retailers below, don’t forget to check ebates to see if you can get cashback when you buy for extra savings – they are offering up to double cash back on many sites this weekend! Check out the list after the jump and let me know if I missed anything (and if you are looking for a more comprehensive list of Black Friday & Cyber Monday sales, click here)! Enjoy free ground shipping on orders of $150 or more including TOM FORD sunglasses and fragrance. Bergdorf Goodman: one of my go-to TOM FORD retailers. Enjoy free shipping and returns every day, no code required. Make sure you check out the pre-order selection of shoes and handbags as well as the newly launched men’s grooming line. Enjoy $150 off your purchase of $800 – $999… and an additional $25 off for every $200 you spend beyond $1,000 (up to $3,000). Bluefly: Bluefly currently has quite a few TOM FORD sunglasses and some handbags available at a discounted rate. 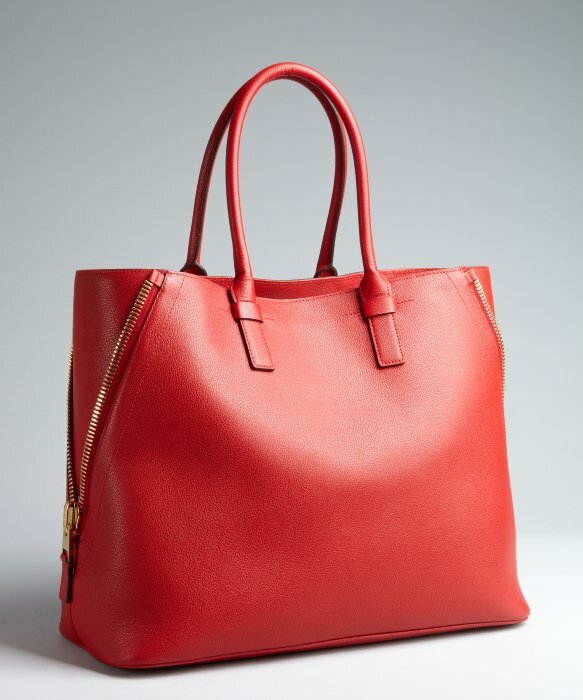 My pick is the Red Pebbled Leather Jennifer Side Zip Tote (originally $1,990, now $1,435). Use code GIFT50 for $50 off orders over $250 OR use code SHIP100 for free standard US shipping on orders over $100. You cannot use both codes on one order. Farfetch: Currently Farfetch does not have any TOM FORD apparel available in their online boutiques but they do have a nice selection of sunglasses. Right now: Enjoy free global shipping on orders over $161 through December 19th. The free shipping offer is valid on orders of full price merchandise totalling over £100 (€119; US$161). The £100 threshold applies to a customer’s entire order of full price merchandise, no matter how many boutiques ordered from. Sale price merchandise is not included within the free shipping offer and does not count towards the £100 threshold. Free shipping applies up to a shipping value of £40 (€48; US$64) over which the customer must pay the difference. 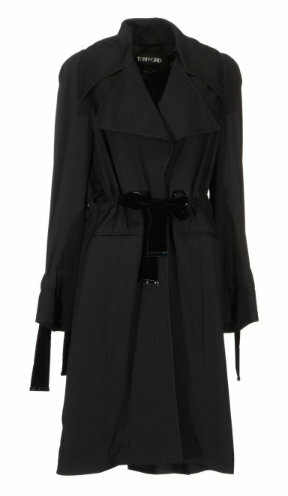 This offer cannot be used in conjunction with any other Farfetch shipping offer. The last order date to guarantee holiday deliveries is Wednesday, December 18. Lord & Taylor: Very limited selection of TOM FORD fragrances available online but you can save on your purchase today. LUISAVIAROMA: Unfortunately LUISAVIAROMA is currently sold out of TOM FORD brand apparel but they do sell the brand when in stock. It’s definitely still worth checking out for other designer finds. Enjoy up to 50% off winter collections PLUS get an EXTRA 10% off with code FB10E until December 2nd. Neiman Marcus: So much to choose from! Right now I am lusting over this Studded Alix Padlock and Leather Zip Shoulder Bag from the cruise collection. To die for. And the limited-edition 12-piece lipstick set deserves a mention as well. As always, you can shop the extensive eyewear, shoe, handbag and beauty collections online and there are a few discounted sunglasses available as well. Make your purchase through ebates.com for 4% cash back. Nordstrom: Nordstrom recently expanded their selection of TOM FORD Beauty products to include more than just lipsticks and fragrances, and they are also a good source for sunglasses as well. They currently aren’t running a beauty deal, but stay tuned as that will likely change on Black Friday. Saks OFF 5th: You can now shop Saks OFF 5th online and they offer a limited selection of TOM FORD sunglasses discounted to $199.99 through November 29th. ScoopNYC: ScoopNYC has a small selection of sunglasses available online and their Black Friday promotion can be applied towards their purchase. Selfridges: Another great retailer if you are shopping TOM FORD Beauty and they also occasionally carry apparel (though none is available online right now). The offers below are valid through December 1st and they offer international delivery. Enjoy an additional 15% off and free shipping with code THANKYOOX. Offer valid through December 2nd. Some exclusions apply. According to Madison Avenue Spy, you can shop the pre-sale right now for 50% off seasonal merchandise before it officially goes public on December 2nd. For more information contact Veronica at (212) 359-0300. Not in New York? 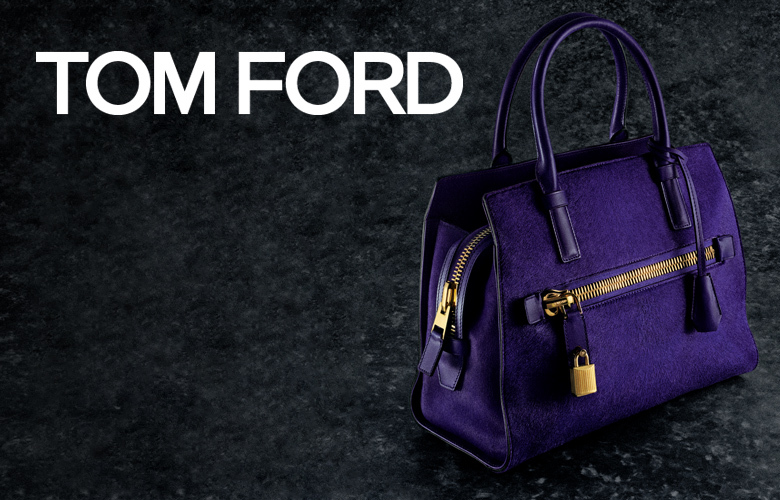 Contact your local TOM FORD boutique to see if the pre-sale has started. I am looking this eye glass on the brunette in tom’s fall 2013 ad campaing ad . Please let me know where can I get it?